Americans generate more waste than any other national population in the world. 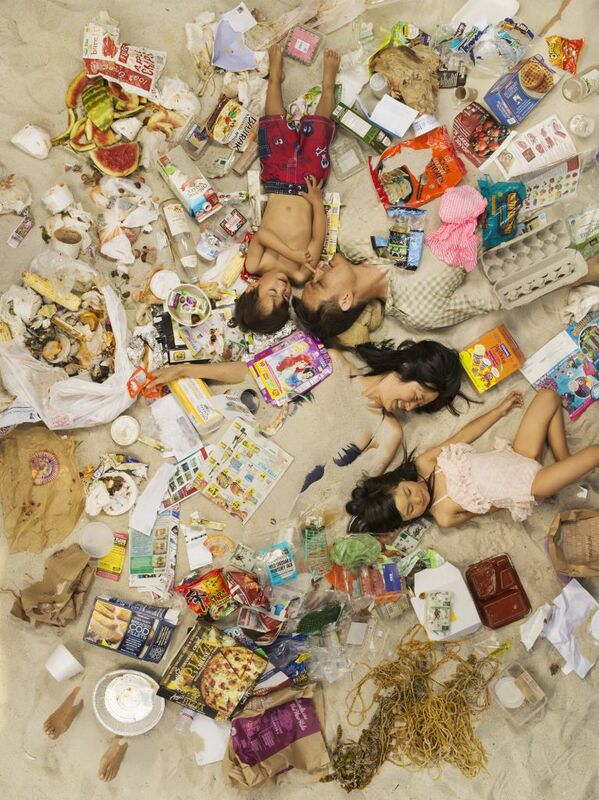 In 2014 Gregg Segal asked friends and neighbors to save their garbage for a week then photographed them lying in it. “We’re victims of comfort and convenience. It’s hard to change your habits when it’s so much easier to use and throw away.” Segal tells Quartz. I don’t believe it’s only up to manufacturers though. One of the biggest things I took away from Trash is for Tossers is that with a little effort we can significantly reduce our impact on the planet. You can view all of the photos here…. They’re beautiful and eye-opening.